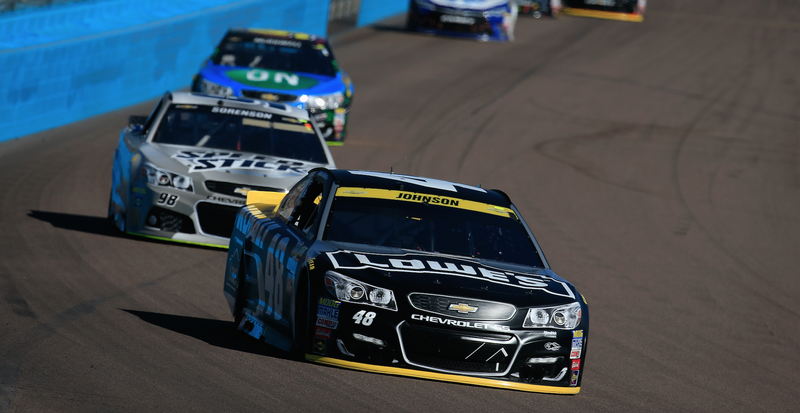 What Do You Want To See As Chevy's Next NASCAR Race Car? The Chevrolet SS was always an odd choice for Chevy’s entry in the top division of NASCAR, seeing as nobody—seriously, almost nobody—in the U.S. bought the thing. But it was a nice enthusiast car to have in NASCAR, racing alongside the vanilla Fusions and Camrys of the world. Sadly, this will be its last year. The Chevy SS race car will leave NASCAR as its street version ceases production at the end of 2017, which coincides with General Motors ending manufacturing efforts of its cars and the Holden badge in Australia. The sales of the Chevy SS, America’s rear-wheel-drive V8 sport sedan known as the Holden Commodore by the Aussies, were awful: in all of 2014, the manufacturer sold 2,479 of them. Thus, Chevy is getting rid of the $50,000 performance sedan that Americans didn’t buy—which is partly Chevy’s fault, as they failed to offer their enthusiast audience a manual option in the SS when they brought it to the U.S.—alongside its Australian production. And thus, Chevy needs to find another car to race in the Monster Energy NASCAR Cup Series when it begins its 2018 season. Chevy’s U.S. vice president of performance vehicles and motorsports, Jim Campbell, told Jalopnik that Chevy will “make any announcement regarding [its] next Cup entry at the appropriate time,” which means the company will tell us what the car will be sometime before 2018 rolls around. But as we say our farewells to the performance car that probably should have performed better on the American market, it’s hard not to wonder what the Chevy SS’ replacement will be. It was a fun car to have in the series, even if it wasn’t a big seller. The current designs on the Impala and the Malibu probably won’t look as cool as the SS in stock-car form, and the Camaro is already an Xfinity Series entry alongside the Ford Mustang. And with the newest generation of Cup Series cars being a little more than just stickers on boxy Car of Tomorrow bodies, it’s particularly sad to lose such a car from the lineup. Is there anything you’d be excited to see replace the SS?